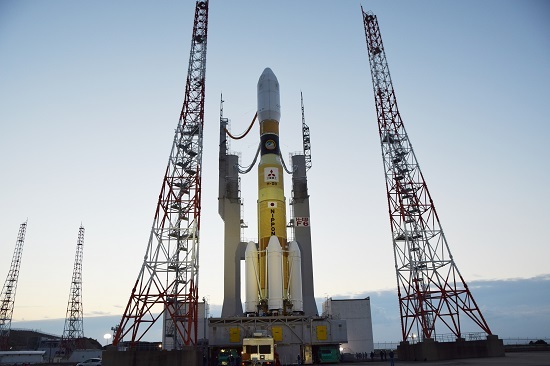 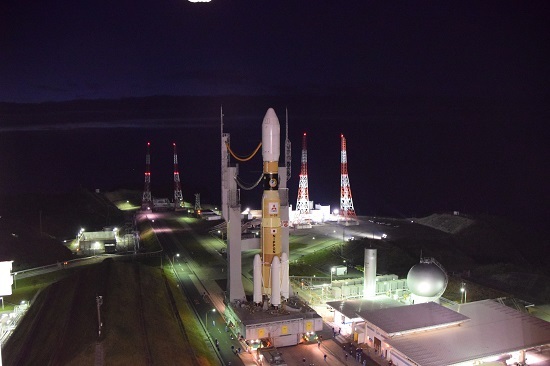 A Japanese resupply freighter and its H-2B rocket booster rolled out of the vehicle assembly building at the Tanegashima Space Center just before sunrise Friday for the half-hour trip to the launch pad. 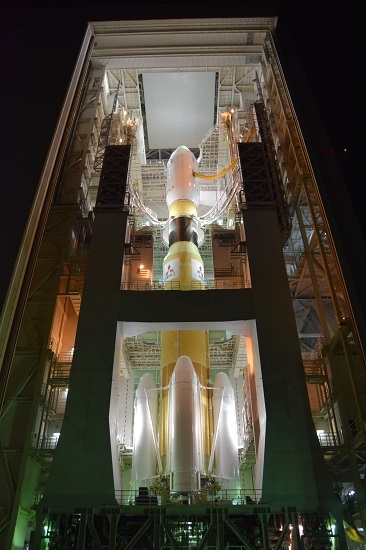 Mounted on top of a mobile platform, the 186-foot-tall (56-meter) rocket headed for Launch Pad No. 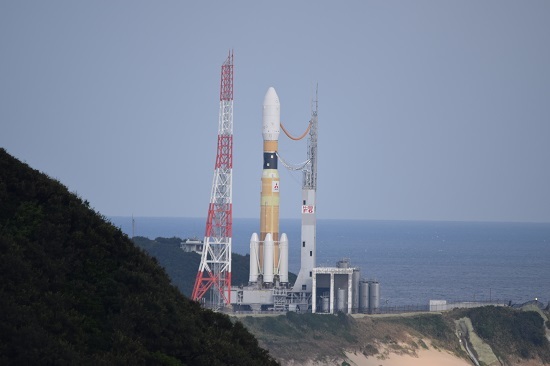 2 at the Yoshinobu launch complex, Tanegashima’s primary launch facility nestled on a rocky outcrop in the Pacific Ocean. 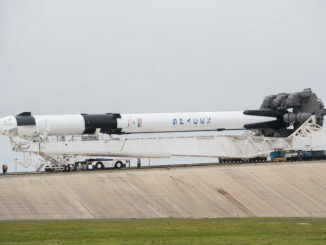 The distance covered during the rollout from the assembly hangar to the launch pad was approximately 1,300 feet, or 400 meters. 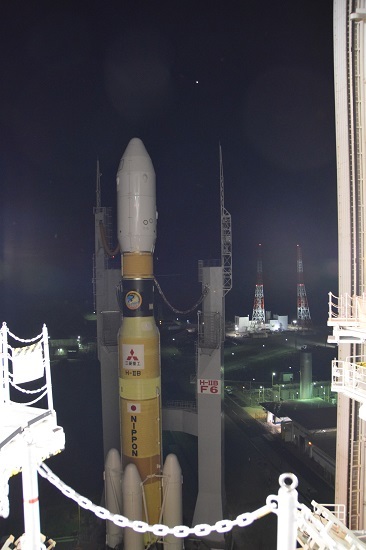 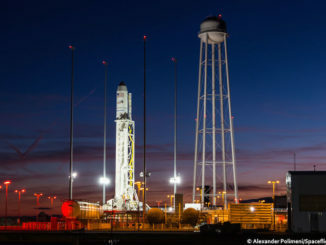 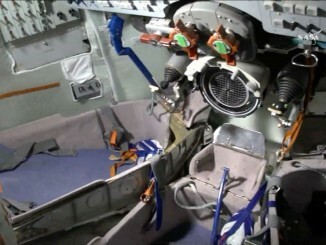 Live coverage of Friday’s launch, which is timed for 1326:47 GMT (8:26:47 a.m. EST), is available here.